The stainless steel frame lugs, fork crown, dropouts, and stem lug shorelines are all custom hand cut by my hands to unique shapes before brazing. 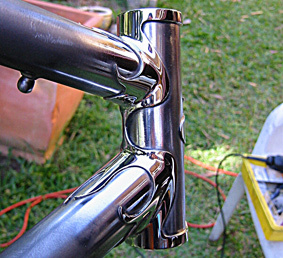 Then, all of the stainless steel lugs and dropouts are laboriously hand filed and hand sanded in many steps to give the sharpest and most even finish possible before polishing to mirror finish. This cannot be done by machine tools, it must be done by hand if one is seeking the highest quality finish result. A custom machined aluminium stem spacer is also included if required and this is polished and painted with the frame to compliment the frame’s appearance (paint only with the Custodian and Manorina frames). 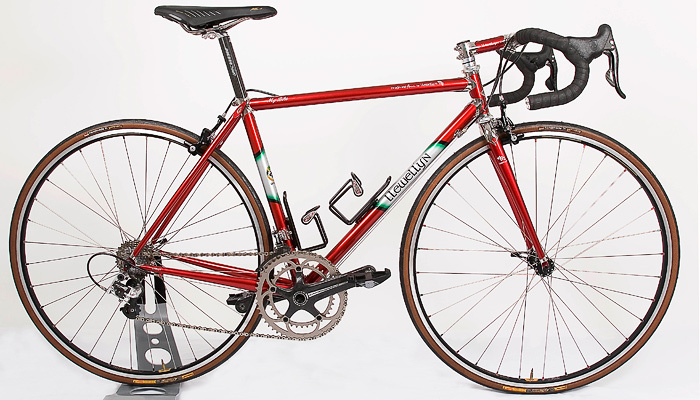 The average time I spend on the metal work of a Lucentezza frame set (frame, fork, stem) is 250 hours. Just polishing the two handle bar stem lugs alone is around 8-9 hours. The post-paint demasking and finish polishing will take two full day’s careful work. The skill and care in this style of frame construction process gives the renowned level of finish which has won Llewellyn frames numerous international awards. 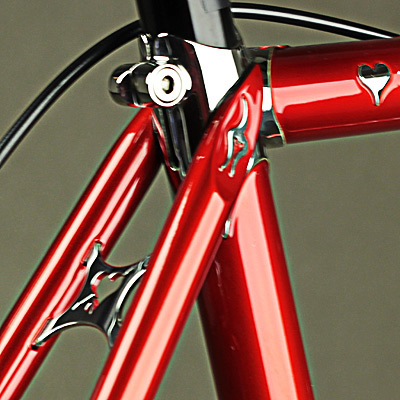 All of the attention to detail and polished lugs do not add or detract from the frame’s performance, it is purely the most detailed level of frame construction possible for the frame connoisseur’s appreciation. Lucentezza frames can be ridden just as hard and often as any Llewellyn frame as there is no compromise to the frame’s structural integrity. However, careful, diligent washing and maintenance is recommended to preserve the beautiful lustre of the stainless steel and paint work. Any Llewellyn model can be produced as a Lucentezza frame. 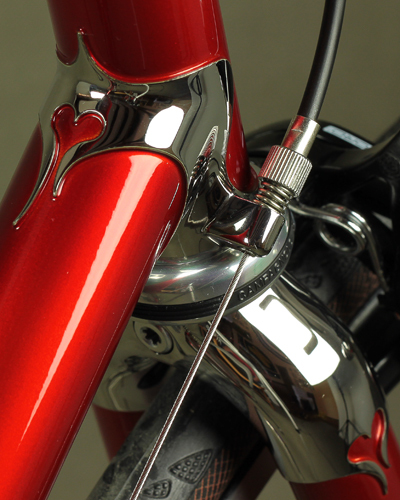 Hand carved and polished stainless steel head tube lugs, seat tube lugs, and details. No chrome! 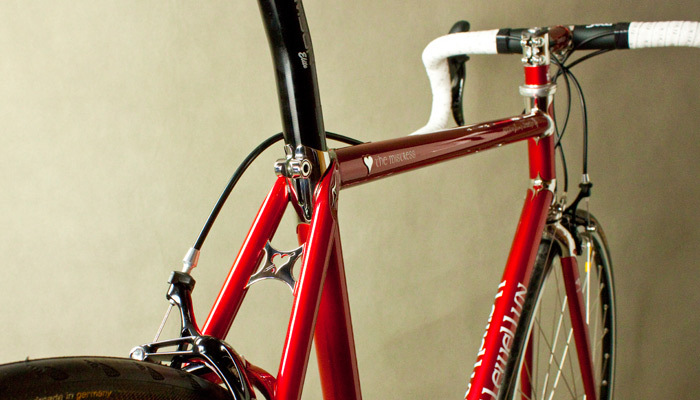 Custom Llewellyn handle bar stem. Custom machined aluminium stem spacer included if required. It is polished and painted with the frame to compliment the frame’s appearance (paint only with the Custodian and OS compact frames). Lifetime warranty on workmanship for the original owner.